Botanical Kinetics for the Win! Brrrr. Did that polar vortex leave your skin feeling so dry? Yup, that’s what we thought. 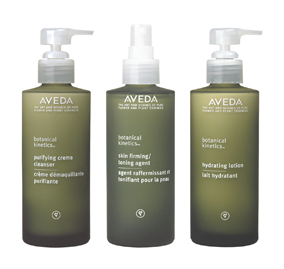 Botanical Kinetics FTW — Aveda Botanical Kinetics line is great for those wanting to balance normal to dry skin. Use this triop below to give your skin the burst of hydration it has been looking for. Dermatologist Tested. 1. BK Purifying Creme Cleanser removes surface dirt while leaving skin soft and moisturized. 2. BK Skin Toning Agent is used right after cleansing to hydrate and cool the skin. 3. BK Hydrating Lotion is gentle to the touch but absorbs quickly and nourishes the skin on contact. 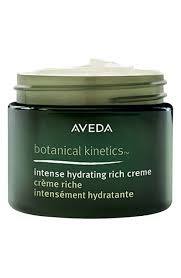 Add Aveda BK Intense Hydrating Rich Creme to the mix. Instantly increasing moisture and recharging your skin cells.